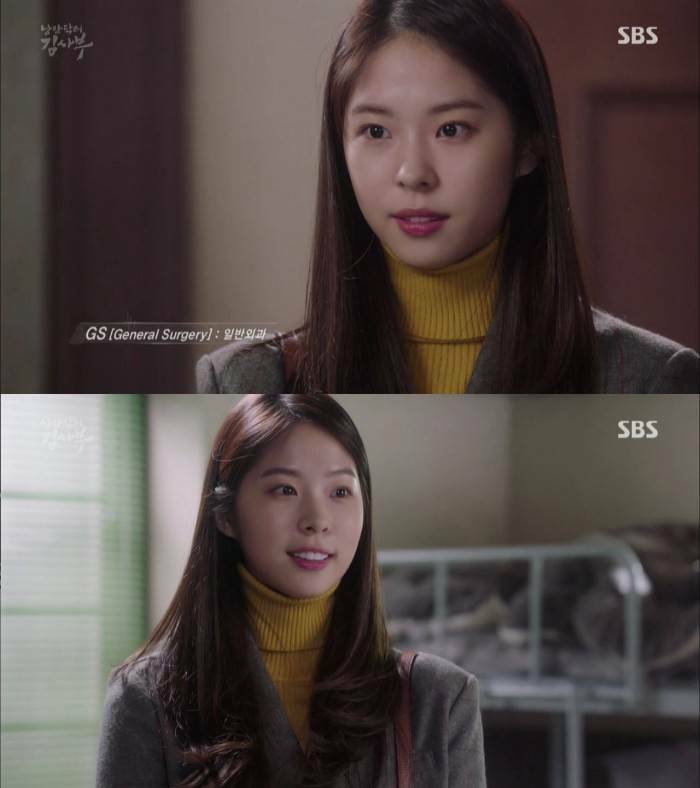 Seo Eun-soo: "I want to be an actress like Seo Hyun-jin"
Seo Eun-soo is a brand new actress who debuted last year. 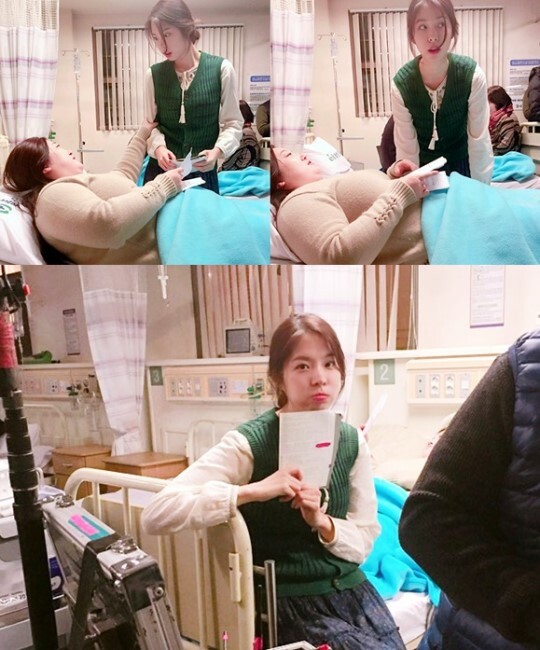 You've probably seen her face in "Incarnation of Jealousy" as Gong Hyo-jin's step mom and also, in "Romantic Doctor Teacher Kim". 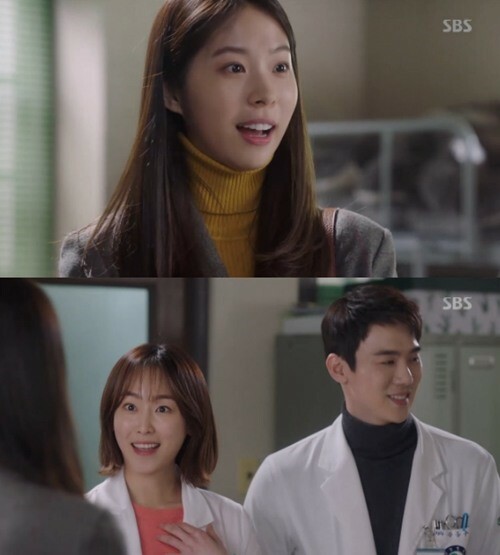 In "Romantic Doctor Teacher Kim" Seo Eun-soo was able to rub shoulders with veterans and senior actors like Han Suk-kyu, Byun Woo-min, Seo Hyun-jin and Yoo Yeon-seok. Out of all the stars she had the privilege to act with, we heard the name Seo Hyun-jin the most during the interview. Q. Since "Romantic Doctor Teacher Kim" was finished, you must feel a little lost. A. That is right. I wish I was able to do better. I will prepare myself even harder until my next work, and show the viewers better acting and better me. Q. What do you feel like you could have done better? A. I thought I was prepared to take part in a great drama such as this but I feel like I wasn't able to show my full potential at the scene. Q. What did you do to prepare yourself? A. Since I'm a brand new actress, I didn't want to inconvenience others by making a NG. So I tried to master the lines and the movement but as soon as I get off the car, it just got wiped off from my brain. The shooting scene is always a new place for me, and I do get scared of uncertainty. I also thought that the character I got was very much alike with my personality. Q. What are some of the similarity the two have? A. Well, both my character and myself is starting a new position. I also noticed that the way Yeon-hwa (Her character's name) apologize is exactly like the way I apologize when I make a mistake in acting. 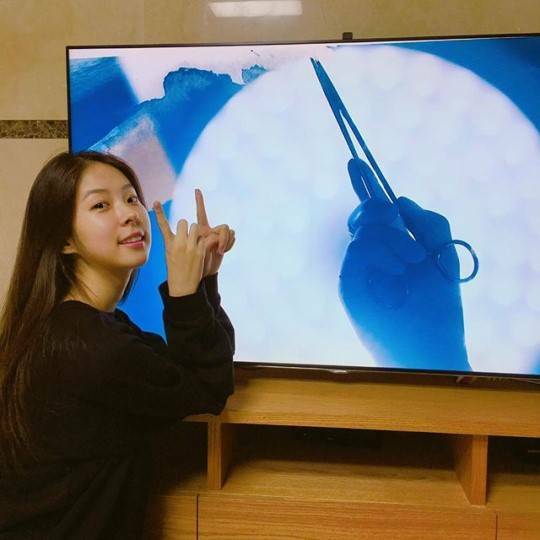 It is also similar, the part where Yeon-hwa finds her happiness through saving the patients' life, to the way I find my happiness through acting. 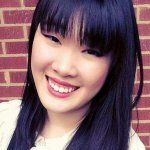 I want to continue living like Yeon-hwa. Q. What's the biggest lesson you learned? A. As I observe the veteran actors on the scene, I learned the way the actors should behave. I realized my weaknesses and reflected on myself. From now on, I want to be diligently making goals to challenge myself and do my best to meet those goals. Q. How did you try to create Yeon-hwa's character? A. I wanted to be seen as a doctor who really care about the patients. Q. Was it more difficult, this being a medical drama? A. I didn't particularly feel that it was more difficult because it's a medical drama. The difficulty was that even though I prepare myself each time, I would get so nervous and forget my lines. I was trying to figure out what am I scared of, and I reached the conclusion that I'm probably still not comfortable around the scene. I was able to improve towards the end as I got closer to the crew. Q. How were you able to overcome? A. I tried everything. Getting up 1 hour earlier and exercising, sometimes I arrived at the scene early to adjust myself. Having more conversations with the senior actors helped me a lot. The method I found to overcome my fear was to empty away any unnecessary thoughts and flex my body to relex. Also, being 100% prepared and ready. Q. You mentioned you made several NGs, any one you remember at the moment? A. It was the scene where the Doldam Hospital crew was having a dinner all together. We got a phone call, summoning us back to the emergency room. I was the last one to exit and since we had to exit swiftly, instead of going out of the door, I rushed out to the blank space – where it's supposed to look like a wall in the camera. I realized that 3 seconds after I exited. I was so embarrassed I wanted to die on the spot. Q. 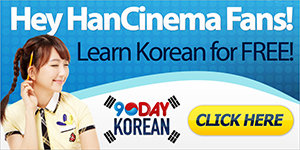 How was it working with Yoo Yeon-seok? A. One of the people I have to thank would be Yoo Yeon-seok sunbae. Since my first appearance on the show, he took care of me, always trying to make me feel comfortable and listening to my questions regarding acting. He made it possible for me to act the character who's in love with him. Also, I'm really thankful for Seo Hyun-jin sunbae. Q. Did Seo Hyun-jin take a good care of you too? A. Yes, Seo Hyun-jin sunbae became my dream. I decided that I want to be an actress like her. It is especially difficult to approach senior actresses in this industry but she approached me first, giving me advices and compliments. When I become a senior actress, I want to treat my juniors the way she treated me. Q. 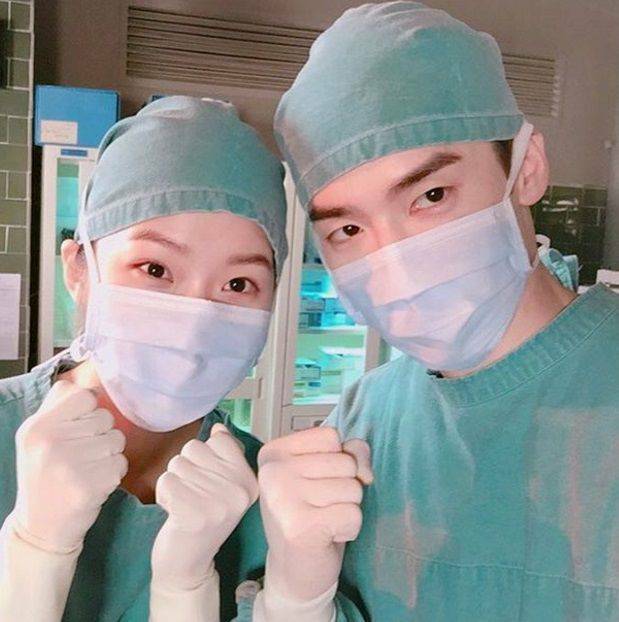 What is "Romantic Doctor Teacher Kim" to you? A. It was a learning ground for me. I was delighted to be with such romantic people, both the crew and the staffs. I could only have positive vibes because everyone was positive. A. I want to do my best in my daily tasks. I want to regret nothing after a show is finished. I will see you all again soon and in due time, I'll grow to be better. "Seo Eun-soo: "I want to be an actress like Seo Hyun-jin""